Where Creator and creation meet! Mosaic Café is a symbol of growth and maturity. The first Sunday of each month at Teaspoon Ministry is planned to allow for a bigger and faster spiritual journey. For a moment of joy and exchange in the pleasant atmosphere of a dinner, the journey of life and the Christian faith is communicated through various artistic and cultural media. Since it is a symbol of growth, Mosaic Café is also our phase 2 of the development of our organization. A café that will offer snacks and light meals to allow the poorer clientele to meet with friends and enjoy a place to meet and eat at a small cost. In addition to the goal of self-financing, it will be a source of income for Teaspoon Ministry. Café Mosaic will be attractive to high and middle income customers, allowing them to contribute more generously to their consumption to support low-income customers. In an effort to encourage social reintegration and to provide adequate job positions , due to the limitations of some of our members, the labor would be people who have been discovered as volunteer for Teaspoon Ministry. We hope to help give them a better life for a better future. 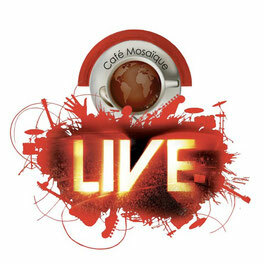 Café Mosaic is also the legal entity (ONG) that works for the humanitarian sector. Mosaic Café is a qualified public charity describe in the Internal Revenue Code, and provides income-tax deductible acknowledgment to donors.